This Valentine’s Day I heartily recommend you take your nearest and dearest to East Day Spa for a Hot and Cold Stone Ritual – a slice of pure heaven that I experienced a few days ago at their Auckland location. It starts with a super relaxing 30-minute hot stone back massage using basalt rocks. East use basalt as the volcanic rocks help balance the body and just one stroke with a hot stone is worth an amazing FOUR hand strokes! The warmth really takes relaxation to another level. Next up you’ll have a thirty-minute Snowberry facial incorporating rose quartz crystals, which are chilled before being placed on the face. The combination of hot and cold on the face helps blood vessels to dilate and constrict – this means increased circulation to the skin, removal of toxins and help with lymphatic drainage. The Snowberry soothing massage oil used is made up of passionflower, rosehip and soothing azulene from the German chamomile flower. It’s great for all skin types and especially sensitive skins like mine as it’s soothing, anti-inflammatory and luxurious too. 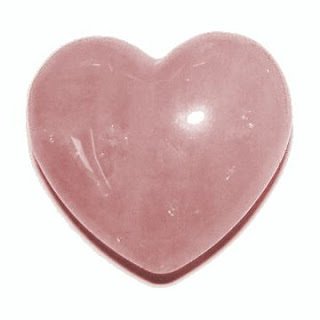 Rose quartz crystal - like all crystals - vibrate at a certain frequency that helps us resonate at similar one. Rose quartz, when placed near the skin gives a feeling of love, wellbeing and better self-esteem, making it the perfect choice for Valentines! To finish, come back to the real world with a delicious warm cup of Harney & Sons Valentine's Tea Blend, which is made up of Chocolate and Rosebud. Too gorgeous!